The gesture of sending participants to the winter Olympics in Pyeonchang, together with the invitation from Kim Jong-un to the U.S. president for a summit meeting are reflective of a sudden change in North Korean behavior. And this switch, from a policy of repeated belligerence to a charm offensive, has put Japan in a rather awkward position. The Japanese prime minister, Shinzo Abe, has for a long time emphasized the necessity of maximizing the political pressure on the DPRK, as long as their nuclear weapons program continues and bilateral concerns, such as the abduction issue have not been solved. Although the new South Korean president, Moon Jae-in, stressed the need for inter-Korean dialogue even prior to being elected, he has also warned against the softening of sanctions and political pressure on the DPRK without receiving concrete steps in return. The same tune has been heard from Washington, adding that allies have to stick together against “the rocket man”. Still, Japan suddenly seems to be left out of both consultations and negotiations. When prime minister Abe felt obliged to hint at a possible summit between himself and Kim, the response from Pyongyang was that of scorn. The charm offensive from the north has managed to change international expectations of what is possible on the Korean peninsula in a very short time. President Trump accepted the summit invitation without blinking, appearing to have forgotten about all prior insults exchanged between himself and Kim Jong-un. Not so long ago, a bilateral summit between Trump and Kim seemed possible only after careful preparations and lengthy diplomatic negotiations on a lower level, including the establishment of a verifiable, step-by-step approach to the dismantling of the North Korean nuclear weapons program. Now, it seems as if replacing insults and threats of an imminent attack, to talks about the need for lowering tensions on the peninsula, has been enough. In Japan, the recent development has been compared to the sudden visit by U.S. President Richard Nixon to China in February 1972. It was a change of U.S. policy that happened without prior consultations with its ally Japan. Although it led to the Japanese prime minister, Kakuei Tanaka, also visiting China and the subsequent normalization of Japanese-Chinese relations in 1978, it was still described as a second “Nixon-shock” (the first one being the sudden unilateral cancellation of the convertibility of the U.S. currency to gold). It is important to note that President Trump never consulted with prime minister Abe before accepting the invitation to a summit with Kim Jong-un. At least this is the general perception. If the U.S. president continues in this tact and suddenly agrees with Kim Jong-un on normalizing the relations with DPRK, what will happen to the U.S.-Japan alliance? There should be a number of important steps taken before normalization can be realized, but the core issue is: what is president Trump ready to sacrifice? And, how sudden can the changes in the geopolitical environment be? Despite the fact that prime minister Abe has been keen on developing a personal relationship with the U.S. president, there seem to be no guarantees that president Trump will honor any commitments, openly declared or hinted at, in the U.S.-Japan relationship. Since the basis for Trump’s actions are an “America First” policy, it is conceivable, in theory at least, that a bilateral relationship with DPRK will be valued as highly as the one with Japan. Even in spite of Japan’s peaceful post-war history and the international agreements and obligations. Although the security alliance with the U.S. is the lynchpin in Japan’s overall security strategy, Japan urgently needs to build solid relationships with other countries in the Asia-Pacific region. With the exception of some of the smaller Pacific island countries, Japan is the only country in Asia that has not been engaged in military conflicts since the end of the Pacific War in August 1945. In spite of this, China and the Korean states have repeatedly emphasized that Japan has to reflect on its past and have even warned against a recurring Japanese militarism. Taking into consideration the DPRK’s nuclear weapons program and its “military first” policy, together with China’s intense build-up of its military capacity, the size of Japan’s defense budget does not particularly reflect one of militarism. Moreover, for militarism to recur, an ideology aiming at territorial expansion ought to be noticeable within the country’s political leadership and democratic institutions ought to be under threat, which is clearly not the case in Japan. In fact, the present administration has stressed that Japan’s national interest lie in “the maintenance and protection of international order based on rules and universal values, such as freedom, democracy, respect for fundamental human rights, and the rule of law” (National Security Strategy). However, while following a diplomatic path based on democratic values and peaceful settlements of conflicts is admirable, there is no guarantee that other states give credit to these principles as they try to move history forward. Just recently, Korean news media reported that president Moon of South Korea might pursue a trilateral summit between himself, Kim Jong-un and Donald Trump. Such a summit could of course be a welcome step towards a lasting peace on the Korean peninsula, but does it mean that yet again Japan will not be given a voice in solving its own grievances against DPRK, such as the abduction issue? As a next step, will the two Korean states increase their pressure on Japan for what they call historical issues? And, how will China react if the U.S. military bases in Japan remain intact if North and South Korea come to an agreement making the possibility of war on the Korean peninsula seem unlikely? 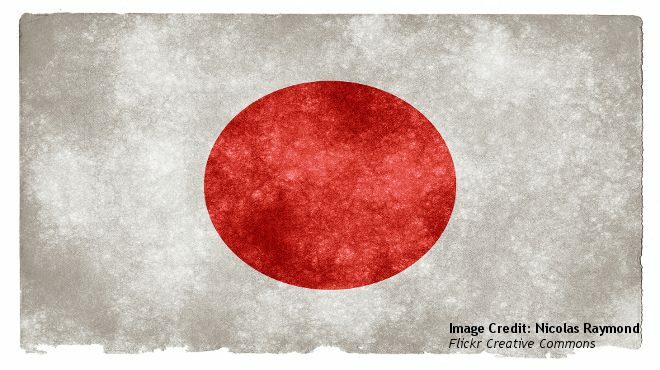 Will the U.S. government again express a willingness to negotiate without involving Japan? These could be unnecessary and unrealistic questions, but the thought that the Korean conflict can be solved by only engaging the two Korean states and the U.S. does not take history into consideration. For a lasting peace mechanism to work in Northeast Asia; Japan, China and Russia also have to come to the table, and Japan’s record as the most peaceful nation in the region since the end of the Pacific War, should be taken into account.